This entry was posted on 2014/11/18 by Robin. 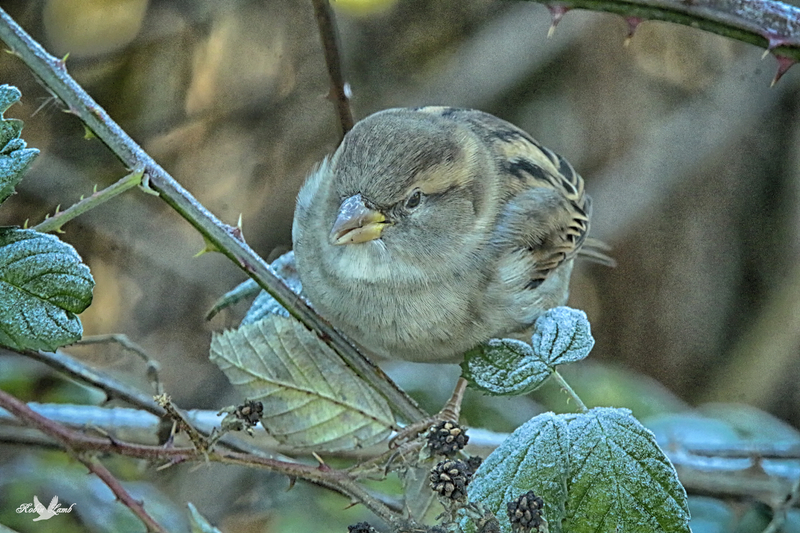 It was filed under Birds and was tagged with B.C., Blackberries, Frost, hen, House Sparrow, Ladner. Pat, aren’t they just the cutest little things! Bob, thanks! It was a bit cold in the shade.